Recently I was watching the movie “The Dirty Dozen” on TV. 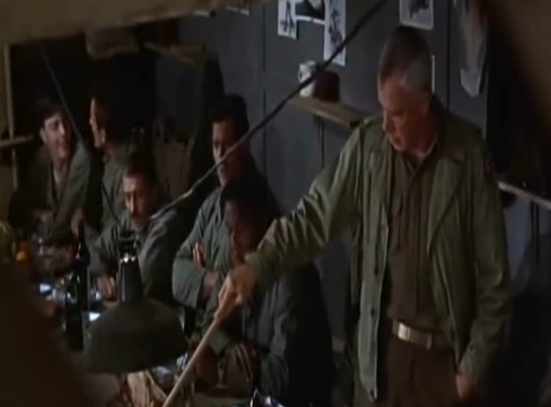 There is a scene where the Major, played by Lee Marvin, reviews the plan of attack with the team as a rhyme to ensure that everyone knows what to do no matter the circumstances. In this particular military exercise precision is priority one to achieve the outcome of survival of the soldiers. This level of understanding also applies to teams in our organizations with regards to following process. Our goal is to ensure we achieve business outcomes. Far too often we have a belief, whether intentional or otherwise, that all we need to do is implement a new tool to fix all of our issues. That the tool will enable us to achieve our business objectives above all else. Nothing further from the truth could be true. Many of these “tool” implementation partners will tell you first hand that until you have some documented process they will be unable to have their application work effectively. It really boils it down to process and people. To give you a real world experience, I went to the doctors for my annual physical. The nurse went through and ran some of the usual metrics such as height, weight, blood pressure and so on. She entered it into the computer, clicked save and then print. She produced a lab requisition form for me to take to a lab for blood work. I was a bit surprised as this is something that the doctor typically did previously. When I asked the nurse about this new system she said that this was a newly automated component to streamline doctor’s visits. After she left the room I waited for the doctor to arrive. After a few moments of waiting the doctor came into the office, exchanged the usual pleasantries and then held out his hand and asked if I had a lab sheet for blood work. Surprised, I said that I did and he shook his head, took the sheet and put it in the trash bin. Seeing the confusion on my face he went on to explain that this new automated lab form was actually the same for all people. That in fact if I was to get these test done it would not only be unnecessary from the diagnostics end but would also require the need to twice the blood extracted at effectively twice the cost to the health care system. He added that if I was interested in giving blood that there would be more value in donating instead. The report that was generated was not done through a set of doctor requirements; rather it was a “catch all” that would account for any assortment of tests so that less work would need to be done. Basically all people fitting into a set of values would generate the lab request which I got, whether there was value in those test or not. The challenge, as the doctor clearly pointed out, was that without the understanding for the diagnostic process [process] and the interview component between the doctor and patient [people] that the tool generating the lab tests was not doing as effectively as it could be. The learning point from this is that to get the most out of our tools we need to ensure that all components of process, products, partners and people are taken into account. To do this: Make sure that your processes are documented and regularly reviewed with all partners and stakeholders to ensure that your experience from a tool perspective can be maximized.